​fully formed, ready to blow you away." you breathless, delivered by a writer who is going places." A Thousand Distant Radios truly stands out." In a debut that has immediately sparked comparisons to the work of earlier masters, Woody Skinner makes his mark as a boldly imaginative new voice. 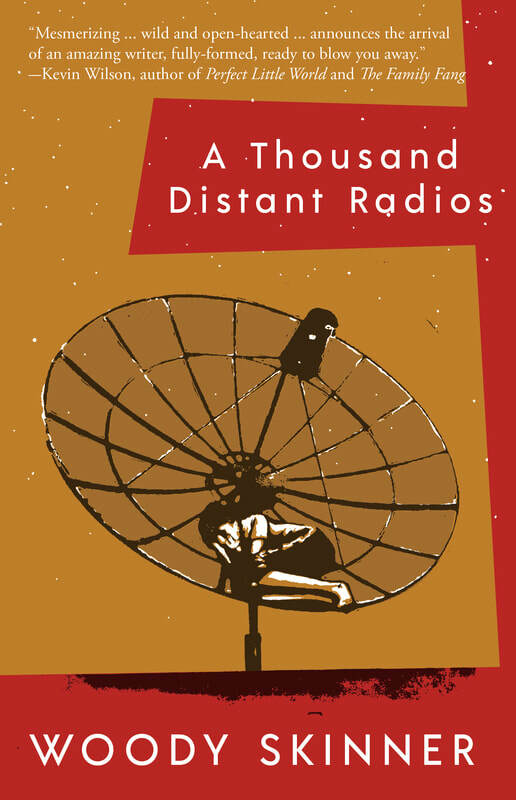 Written with dark humor and folkloric flair, the stories in A Thousand Distant Radios capture the passions and compulsions of modern America in unforgettable imagery and saturated color. Skewed, hyperbolical, sometimes surreal, always irresistible, here is fiction honed to cut through the blur of our times. You won’t soon forget this book. Woody Skinner's work has won the Sherwood Anderson Fiction Award and appeared in Mid-American Review, The Carolina Quarterly, Hobart, Booth, Another Chicago Magazine, River Styx, and elsewhere. He holds a BA in Southern Studies from the University of Mississippi, an MFA from Wichita State University, and a PhD from the University of Cincinnati. Originally from Batesville, Arkansas, he currently lives in Chicago. delivered by a writer who is going places." some keen and lethal potential. There will be blood." us to do otherwise. ... These aren't voyeuristic peeks into messed up lives. with Skinner to tell the tale." stories, you might just 'let the whole universe pass through you.'" beautifully strange collection of stories." “Woody Skinner’s stories are sly, tragic, violent, beautiful. when he’s done you’ll feel more real." of a debut but without any of the indulgences or shortcuts. The stories are wise, accomplished, and deeply satisfying. knows what to aim at." "A Thousand Distant Radios is an extravagantly weird book. Woody Skinner is a singular talent, and I'm glad to have found his stories." the arrival of an amazing writer, fully formed, ready to blow you away." giving you the bad news so gently you barely notice how much it hurts. capable of affecting pathos within the strangest of premises. meditation on death and the unbearable weight of American history. collection will be wildly inventive and darkly comic, but always moving."